Break vases, glasses, watermelons, and more! The intense emotional reaction of the humans intruiged the robots so much, they insisted more glass jars be broken. The amusement was contagious, triggering a robotic obsession that spawned the most popular robot show of all time, "Smash for Cash"! Robots have been enticing humans through virtual reality to participate in the show. Contestants break a large variety of objects while aiming for high scores and discovering all of the entertaining surprises the robots have hidden in each stage. Are you the next virtual reality star? 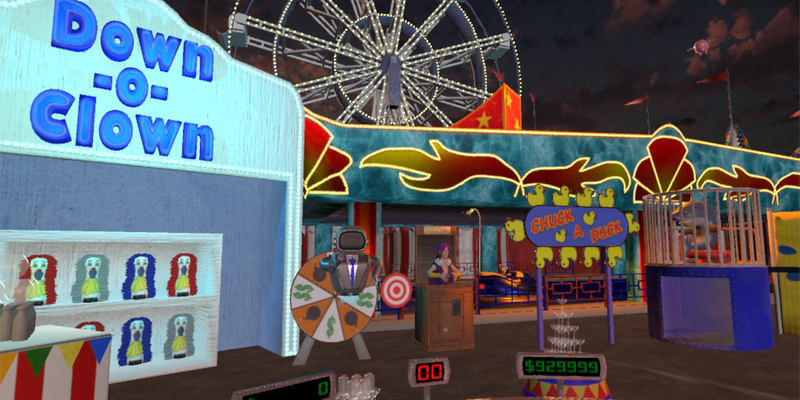 Play "Smash for Cash" in BREAK STUFF VR to find out! Copyright © 2016 Single Step Games, LLC. SINGLE STEP GAMES, BREAK STUFF VR, and PSYCHE SOLDIER VR are trademarks of Single Step Games, LLC. All rights reserved. All other trademarks and trade names are property of their respective owners.